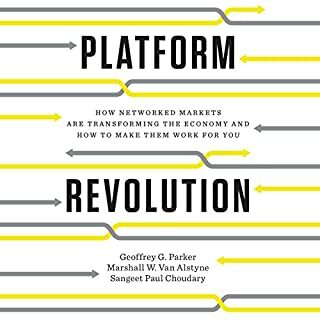 This book predicts the decline of today's professions and describes the people and systems that will replace them. 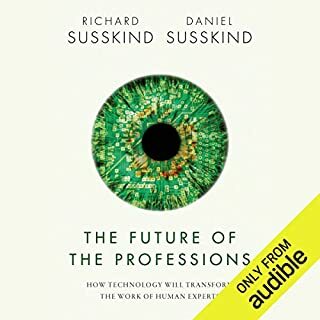 In an Internet society, according to Richard Susskind and Daniel Susskind, we will neither need nor want doctors, teachers, accountants, architects, the clergy, consultants, lawyers, and many others to work as they did in the 20th century. In recent years, Google’s autonomous cars have logged thousands of miles on American highways and IBM’s Watson trounced the best human Jeopardy! players. Digital technologies — with hardware, software, and networks at their core — will in the near future diagnose diseases more accurately than doctors can, apply enormous data sets to transform retailing, and accomplish many tasks once considered uniquely human. 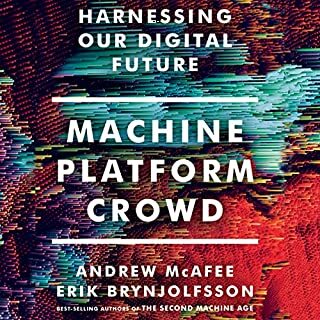 In The Second Machine Age MIT’s Erik Brynjolfsson and Andrew McAfee — two thinkers at the forefront of their field — reveal the forces driving the reinvention of our lives and our economy. As the full impact of digital technologies is felt, we will realize immense bounty in the form of dazzling personal technology, advanced infrastructure, and near-boundless access to the cultural items that enrich our lives. Amid this bounty will also be wrenching change. Professions of all kinds — from lawyers to truck drivers — will be forever upended. Companies will be forced to transform or die. Recent economic indicators reflect this shift: Fewer people are working, and wages are falling even as productivity and profits soar. Drawing on years of research and up-to-the-minute trends, Brynjolfsson and McAfee identify the best strategies for survival and offer a new path to prosperity. These include revamping education so that it prepares people for the next economy instead of the last one, designing new collaborations that pair brute processing power with human ingenuity, and embracing policies that make sense in a radically transformed landscape. 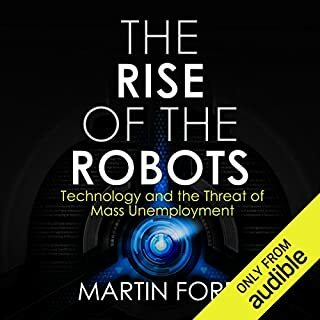 A fundamentally optimistic audiobook, The Second Machine Age will alter how we think about issues. ©2014 Erik Brynjolfsson and Andrew McAfee (P)2013 Brilliance Audio, all rights reserved. A coherent summary of the arguments for the thesis that increasingly seems like common sense: that we are living through a new period of rapidly advancing, potentially revolutionary technological disruption. The audiobook narrator is OK, but I can see how his cadence can feel jarring to some people. The authors go through the economic, social and political consequences of the impact of the Second Machine Age. They suggest that governments should not stifle innovation, but they should be sensitive to the negative effects of the technological revolution. In government policy, they propose investing in creative education, basic academic research, social infrastructure and a negative income tax. Not all of their policy suggestions are that compelling or novel in isolation, but they coalesce together into a steely frame that is fundamentally solid, even if some of their proposals can be questioned or reframed (such as their mistaken view that a basic income guarantee would be suboptimal). "Will our prosperity be widely shared?" they ask. This is a question that desperately needs an answer. Brynjolfsson and McAfee have correctly framed the question and semi-adequately attempted to answer it. Insightful book on the exponential growth of technologies and ideas, the economic implications and possible solutions. Very interesting and thought provoking. Let down by irritating American infomercial style narration. I've heard similar theories on various free acedemic and business podcasts. 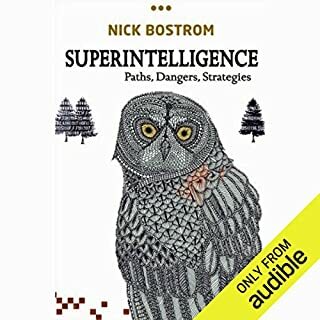 I'd recommend Super Intelligence by Nick Bostrum. 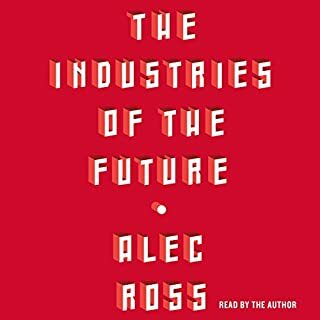 From Baxter the robot, surely the embodiment of Asimov's 3 laws, to IT billionaires, to explaining how superstars make so much money today and dealing with the declining economic power of the middle and lower classes, this book covers a huge range, but never loses site of the authors objectives. These are: to let us know what is happening in the world as affected and supported by current technology,IT and the internet, to let us know the implications of these developments and then to gently suggest how we can deal with them. If you have even a passing interest in "The Singularity" as described by Verne Vinge, or how we will live with robots and a technological world in the future, then this book is a very real, non Sci-fi handling of the topic. I love Sci-fi. I've studied and use economics in my daily work. What the authors lay out and then discuss pulls together lots of interesting developments you may have heard about into a compelling and fascinating narrative. 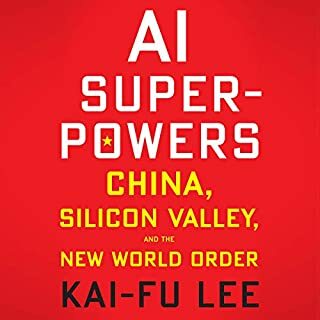 They have a positive view of the future whilst not shying away from the "negative externalities" (human and economic effects) of technology and its effect on local, national and global markets..
An excellent book on a vitally important topic. I wish I could make all current and future politicians read it! The authors argue that digitial technology (in which they embrace computers, networks, the internet, smartphones etc) is accelerating the pace of tehcnologocal advancement at an exponential rate because of the phenomenon of combinatory innovation. So my laptop may not feel radically different to me compared to the one I had three years ago but a combination of it and the internet made it possible for Audible to create a business selling cheap audiobooks. So I can plough through potentially challenging reads like this in a weekend before moving onto whatever I find useful or interesting next. This in turn not only enriches my leisure time but also helps me learn stuff I can put to use at work for career advancement. The downside of that trend is that a few years after, say, the digital camera is invented Kodak go bust and that's not just bad news for Kodak employees; it's part of a wider phenomenon in which well paid jobs for ordinary people disappear and they're not replaced because the internet based enterprises that replace them just don't employ that many people. Worse still while the overall level of cash in the economy (referred to here as the "bounty") might stay the same or even increase it gets shared out in increasingly inequitable ways (a phenomenon called "the spread"). What does it all mean, where will it end up and what can we do about it? What I really liked about this book was the way the authors set out the issues, illustrate the impact they are already having, predict where it will go next and suggest what we should do about it at the level of public policy, education, planning our own careers and thiking about what to tell our kids (postgraduate qualifications may be the new degree). They identify the types of jobs that might be vulnerable (clerical, manufacturing and increasingly professional jobs requiring repetitive tasks fo areas of accountancy, law and medicine could be under threat) and those which look safer (problem solving or creative roles aided by computers or less well paid service jobs). 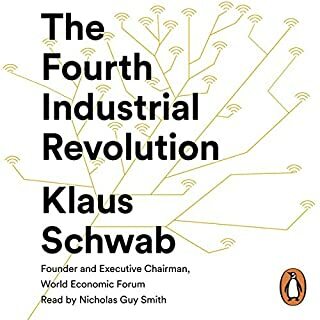 Recommended for anyone interested in the future of technology and work. 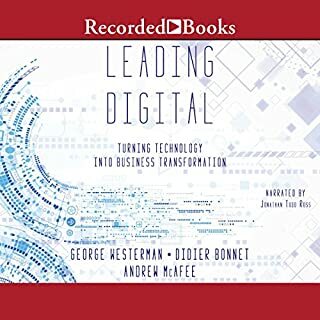 A totally enjoyable and enlightening walk through where technology came from, how digital IT took off, where it is now, where it’s going and how far and fast it’s doing that...all related brilliantly to us humans and our issues both personal and societal. These guys make the case for a positive future state of humans and machines working in tandem..doing amazing things...all we need to do is grasp the opportunity. Thanks guys..! 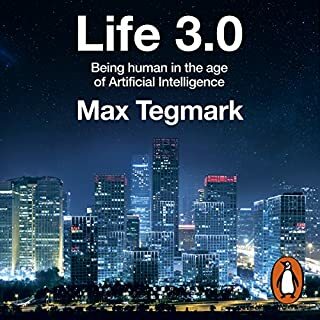 Anyone who would like to know what the future brings, with respect to the way machine intelligence is changing the way we work and live, would do well to listening to this magnificent audiobook. This book is a must for anyone who is curious about what technology may bring to our lives and the world in which we live. It is packed full of insights and ideas and I for one will listen to it again to ensure I have fully appreciate the landscape it paints. Truly compelling. 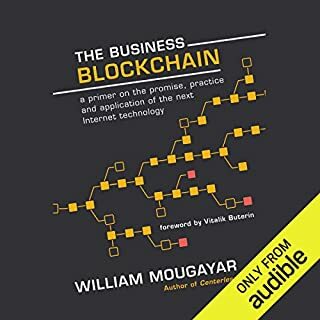 well researched,written,and presented.Two guys that know their stuff.well worth a read.would definitly reccomend to anyone interested in tech. Well organized, thoughtfully written, but if you're reading in the space, absolutely no new information. This is a book I'll recommend to readers who aren't already reading blogs and books covering similar topics. I did like the presentation as hopeful without being fervent. This is an upbeat survey of a technical and very rapidly changing field. The field is changing so rapidly some of the technical information in this book was obsolete before it got published. For example there is a section on the Waze GPS mapping system. This was purchased by Google and integrated into Google Maps way back in 2013. As a survey, it provides mostly news stories (computer wins Jeopardy, etc.) and some related statistics, but very little deep thinking or analysis. 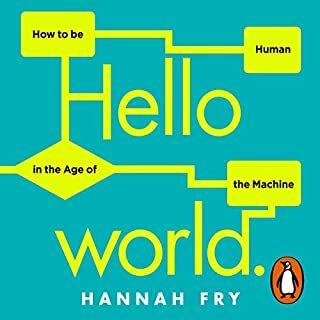 I much preferred The Singularity is Near (which is weird, but thought-provoking) and Race Against the Machine (which is very much like this book, but clearer). The authors make a number of policy recommendations all of which seem amazingly short sighted, liberally biased, and basically ignore the authors' own primary hypothesis of an exponential inflection point in technology growth. The authors refer to the world being at an exponential inflection point of technical change (that is, the near future is about to be significantly different than the recent past would predict) yet the authors repeatedly indicate while discussing their recommendation, we are not yet on the brink of significant change, pointing out that change in the recent past has not been all that fast. So which is it? The authors seem largely to focus on mitigating "spread". Spread is the authors' code-word for income/wealth inequality. Interestingly, the book seems to me to have a strong liberal bias, yet it has been edited carefully so this bias is well cloaked from a casual reader. These policy recommendations seem largely unrelated to the technical revolution and include a lot of government control and wealth redistribution. I am somewhat dubious these are great ideas particularly if government uses the new technologies to enhance its already substantial power. So many important questions are totally ignored by this book. Is the developed world approaching stuff saturation? If so, how will a new service and entertainment economy work? Will humans be enhanced by technology? Will there be an enhancement backlash? Will nano-technology (or AI, or some other technology) go dangerously wrong? Should we be addressing such risk now? Such questions are raised in other books like The Singularity is Near. The narration was OK but not superb. This has a lot less to do with technology and more to do with economics than I was expecting. 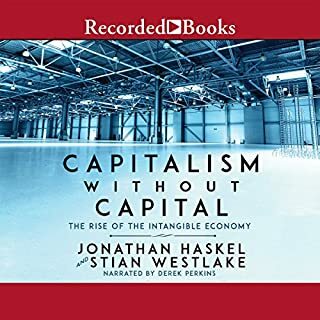 I'm not a fan of economics, especially the in-depth discussions about it that happen in this book. I frequently found myself dozing off since the content was just so dull. There's definitely some interesting concepts and ideas, most of which I didn't know about, but the amount of depth that was added to each of those was just too much. 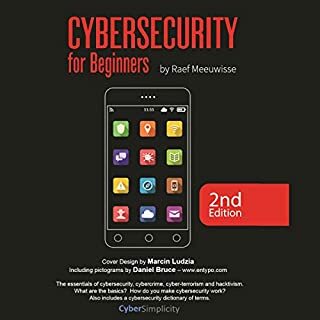 The broad concepts were well structured and interesting on their own, but most of the sub-chapters were mostly unnecessary and often times I just felt like I was being bombarded with statistics. This could easily have been half the length and with some proper editing, could have been quite enjoyable even. The focus on American issues was also unnecessary, since the proliferation of technology is not just restricted to the USA. 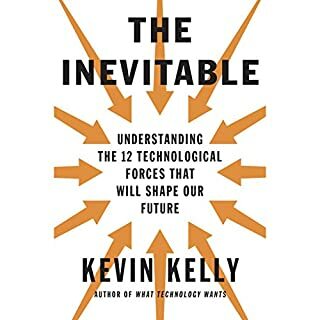 I think I was mostly disappointed due to having had the expectation that this book would go into the issues the arise from our current trends in technology. Although there is content about it, it's hidden in endless meandering about economics. I suspect people who are more inclined towards economics, would enjoy this more and people who enjoy thinking about statistics and economic theory even more so. However, not being American and not particularly enjoying either of those topics, I was just not the target audience for this particular book. If you are up to date with the tech world, most of this books will be repetitive. 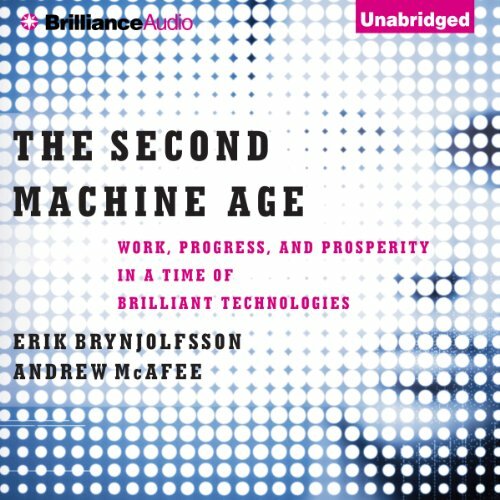 Would you consider the audio edition of The Second Machine Age to be better than the print version? Not only did the book cover the topic of the technology but it provided great insights backed by statistics for a number of related areas. Best Audible book I have ever listened to. I may go back and listen to it again since there were so many interesting points to digest. Lots of unique thoughts and perspectives about the convergence of technology and implications for the future. definitely a left leaning perspective in some cases. Overall, very thought-provoking and had to stop many times to consider implications of the authors conclusions. Books like this one are easy to enjoy. They are topical, informative and tell their story fairly fast. The digital age with its exponential growth and co-relational development is leading us to an inflection point. The authors steps the listener through the changes happening and demonstrates how the old metrics aren't always meaningful. Some of the digital changes such as Wikipedia (who buys encyclepedias today?) or Craig's List (who uses classifieds?) add immense value but they really don't show up in GDP, but yet add immense value to society. 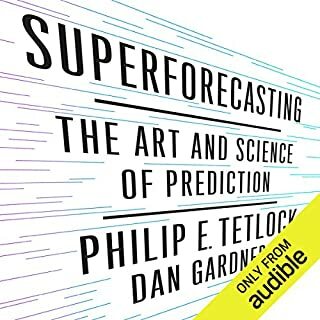 Predicting sunspot activities or automobile accidents can be determined better by individuals who aren't experts in the field as stated in this book. The second machine age is affecting change and the book presents many good examples. They take their premise to the point where the machines (androids) will start to replace most of what we do now. The authors delve into the economics and what the ramifications will be. The authors give a bunch of prescriptions to solving some of the problems they perceive coming down the pike. This is where the book is weakest. 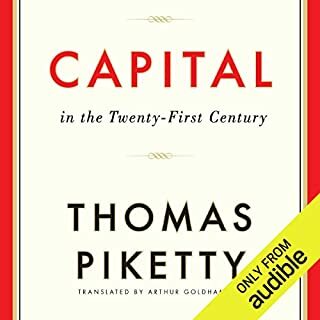 I thought Piketty's book "Capital in the Twenty-First Century" covered the economic ramifications of capitalism and Tim Wu's book "The Master Switch" covered changes that the digital explosion have brought better than this book did. Maybe everything they are suggesting (mostly government intervention of some kind) is correct and should be done, but the authors make a mistake of getting ahead of the conversation. It's good to be right, but one doesn't want to be right to far ahead of everybody else because nobody will hear what you have to say, and that's a problem with the authors prescriptions, and that was the real reason they wrote this book. What did you love best about The Second Machine Age? This is not just another book about artificial intelligence or the pace of technological advancement. It's a very thoughtful treatment of the broad implications for society and civilization. What was one of the most memorable moments of The Second Machine Age? The discussion of income disparities and capital accumulation was fascinating. It left me less hopeful about America's future without significant reform but more inclined to acquire equities and real estate. I found the book very interesting from start to finish. If you like Ray Kurzweil (The Singularity is Near) or Peter Diamandis (Abundance), you should definitely read/listen to this one. 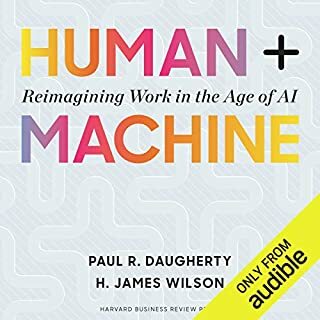 As someone who works as a practitioner in the AI field, I appreciate the depth and breadth of this book. It's an impressive book on the technology and economics of the coming age or AI. Should be required reading for congress members. Very well written and thoughtful. Highly recommended to anyone with a bit of the technology bug. And to those not tech savvy, let this stand as a warning, technology is headed for dramatic growth and your coming along for the ride whether you like it or not.